يقع Doolan's Country Retreat في نغونغوتاها, روتوروا, هو خيار شائع بين المسافرين. لا يبعد الفندق كثيراً عن مركز المدينة، فهو يقع على بعد منها. في حين يستغرق الطريق منها إلى المطار حوالي دقيقة. يوفر الفندق بفضل موقعة الجيد وصولاً سهلاً إلى أهم معالم المدينة.
. يقدم Doolan's Country Retreat خدمات لا غبار عليها وكل أشكال اللياقة وحسن الضيافة اللازمة لإسعاد ضيوفه. هذه بعض الخدمات الموجودة في هذا الفندق: واي فاي مجاني في جميع الغرف, تسجيل وصول/خروج سريع, تخزين الأمتعة, صف السيارات, مرافق للشواء. ادخل إلى واحدة من الغرف 4 وتخلص من عناء نهار طويل بمساعدة مجموعة كبيرة من الخدمات كمثل اتصال لاسلكي بالإنترنت, غرف لغير المدخنين, مكيف هواء, تدفئة, شرفة/ تراس الموجودة في بعض الغرف. يقدم الفندق مجموعة واسعة من وسائل الراحة المتنوعة، كمثل: مسار جولف - ضمن 3 كم, ركوب الخيل, حديقة. إن Doolan's Country Retreat هو خيارك لخدمة الفنادق الراقية في روتوروا. Very friendly and welcoming hosts who gave us helpful recommendations and insights about Rotorua. We will go again with pleasure. The name, retreat is true. Louis and Mark is really person to share their house and story to us. Let's have refresh during this trip. It's not a hotel but a friend's house to stay. It's very special for us from city to stay a fram house. Louis and Mark love their house to take care of us. Thanks. 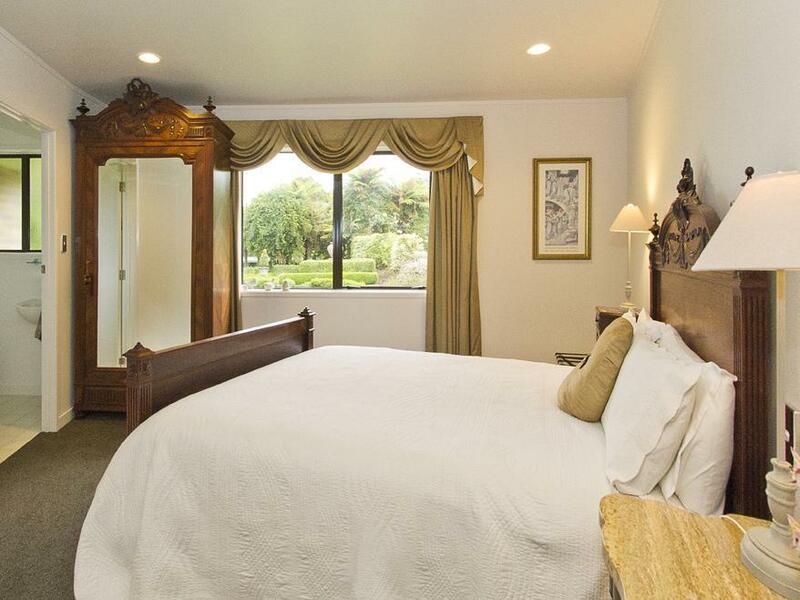 Doolan’s Retreat is a peaceful getaway location. This hidden BnB scores huge points for its grounds and its country setting. Beautiful gardens are on premises and there is a trail to a nearby stream. The rooms are very simple, clean and comfortable. Louise and Mark are great hosts and cooks - breakfast was exceptional. Louise helped us finalize our itinerary with her insight on the local attractions. Highly recommend if you are looking a place that offers peace and solitude. This place is a gem. Yes, it's a bit out of town but it only takes about 10 mins to get into town. And it's well worth it. Christine and Louise were terrific hosts. The food was wonderful and the house is beautiful. The views of the valley and Lake Rotorua are enchanting. You may never want to leave the house. Christine loves her "garden" and there are flowers and trees everywhere. They have plenty of land so you can easily wander a bit and sit out on a bench among the trees. If you have Louise book your tours for you, you may get a discount. Very quiet, serene and beautiful setting. Immaculate room with all amenities. Delicious breakfast included. Owner is very respectful and friendly. We would like be to stay here again. A tranquil and idyllic setting. Our stay there was wonderfully hosted by Christine. We will absolutely go back the next time we visit Rotorua. A rather elegant B&B with a great view. The hostess serves all the guests a group breakfast. She is also very knowledgeable about sights in the area. 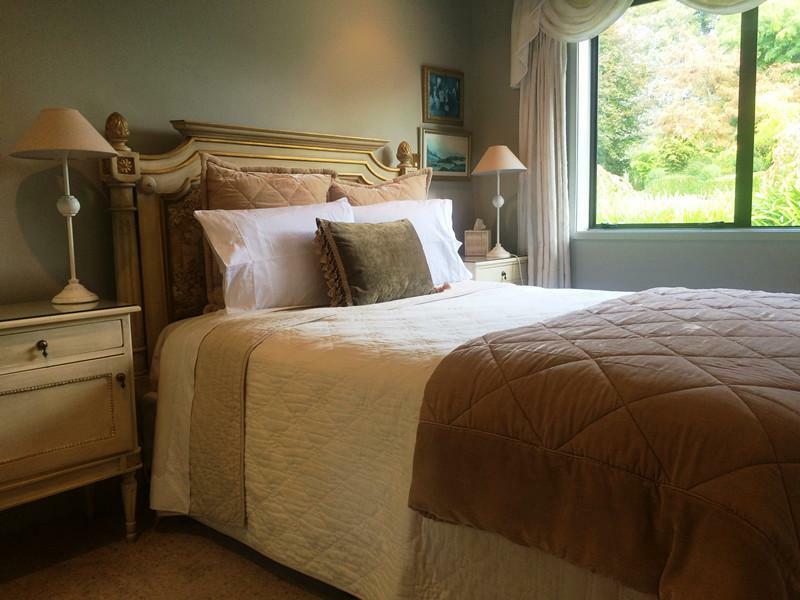 Anyone who plans to stay in Rotorua should stay at Doolan’s country estate. Christine is extremely hospitable, recommends activities and discounts. Cute donkeys to feed, flowers to see, stars to gaze at night, waking up to home made breakfast, simply wonderful! We stayed for 3 nights and can’t wait to stay here again! Christine is a rockstar B&B host and has a gorgeous home and property! We couldn't have asked for a nicer stay. For anyone heading to Rotorua, if you can stay here, look no further and just book it. You won't be disappointed! Absolutely fantastic, host Christine is full of info and good ideas about what to do, even gave us a 10 point sheet of local attractions, mostly free. House is amazing, so comfy, didn't want to leave! A great country retreat, thanks Christine and Louise for their hospitality. The place is surrounded by beautiful flowers and they have nice gardens. Feeding the donkeys was a great experience. Will stay in this place again if visiting Rotorua. Christine is a perfect hostess - laid back but full of helpful information. 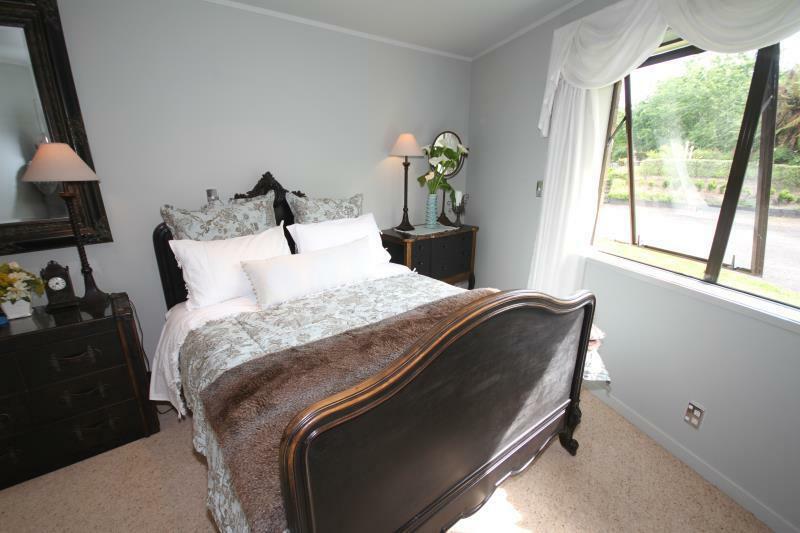 Her home is gorgeous, extremely comfortable and a world away from the hustle and bustle of rotorua. Highly recommended, wish we could have stayed longer! We had a totally delightful and relaxing stay at Doolan's Country Retreat. Christine is a wonderful and gracious hostess - and fabulous cook and gardener!! Her breakfasts were delicious and the perfect way to start the day 😊 . And the gardens are amazing!! We would have loved to have stayed longer and we highly recommend staying here! The best B&B we've had the pleasure of staying in. The owner is personable, friendly, helpful, has great knowledge of the area and suggestions (likewise, too for places you might travel on to afterwards), and genuinely cares about the happiness of her guests. And did I mention she cooks a fabulous breakfast? Breakfast includes a different fruit salad every day, yogurt, homemade musli, toast, homemade jams, ham slices and cheese, all before the main course, which could be mushrooms on toast or french toast with avocado and bacon, or some other delight. 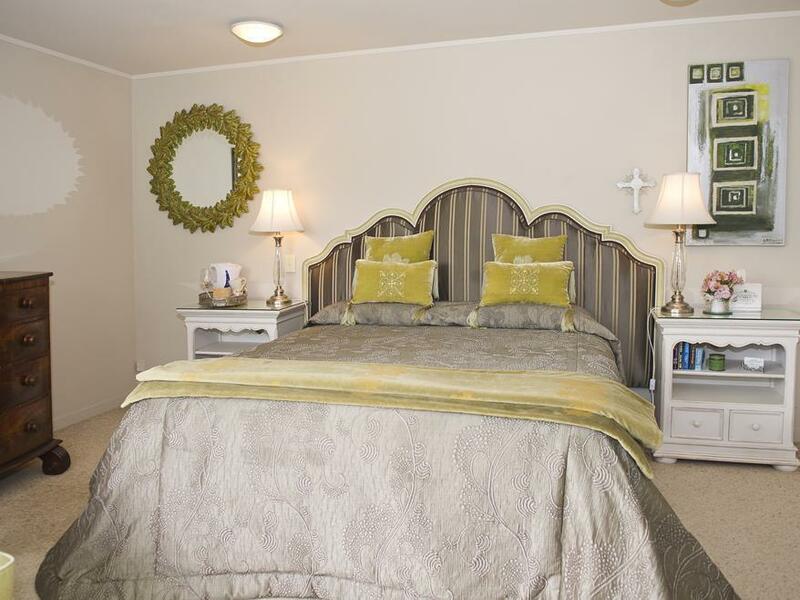 Expansive and stylish (in a relatively traditional style) common areas for the guests, comfy bedrooms, nicely appointed bathrooms, and beautiful grounds, with a view of hillside farms and the lake in the distance. As is the nature of a country retreat, restaurants and other town amenities of Rototura are not immediately at hand, but a reasonable drive away; some outdoor and cultural (e.g., Maori hangi) attractions are closer and some further than if you were staying directly in town. I'd go back in a heartbeat. The house are maintained at an excellent conditions; spacious rooms; decorated like a dream yet warm house; the housekeeper is extremely nice; served you with home make delicious breakfast in the morning; feeding donkey with you in the gardening time and teach you all about stargazing at night. must come back!